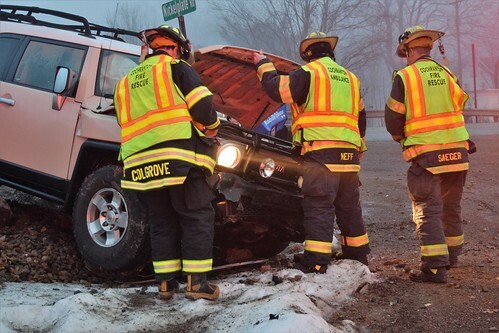 Cochranton Firemen responded to an early morning accident accident at the intersection of Rt 173 & Rt 285. A vehicle traveling on Rt 285 failed to stop at the intersection due to icy road conditions and slid off the road striking a large rock wall. Minor injuries reported.